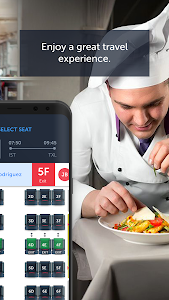 benefit from features making your life easier such as reservation, ticketing and check-in.? • Either a vacations or a business trip, it now a lot easier to plan your travel! and makes recommendations exclusive to you. • We have created a new design focused on the ideal user experience. Now, you can easily make your travel plan, ticketing and Miles transactions. arrange your reservations and view your registered flights a lot faster. points of the world. ? By viewing the special offers, you can fly with advantageous prices. for the cities you will visit.?? payment whenever you want on all of your devices. ? ? or cancel your flight and add infants to your flight. you can select the most convenient ones and make payments easily.?? • You can always feel safe by hiding your credit card and profile information.? 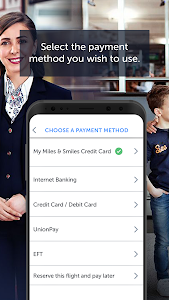 • We have developed a personalized Miles&Smiles experience exclusive to our mobile application. You can enter to your account with your finger print.?? • You can make reservations from any hotel you like and save time by renting your car before your travel with special prices or using your Miles. ? ? • In order to maximize your comfort, you can fly in the seat you wish by selecting your seat.? 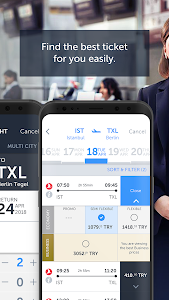 • You can follow the status of any flight you wish by using flight status feature.? ? · Our mobile app continues on its path to become global. Now, German and French languages are available in our app. · We have developed the push notification center to inform you about special offers and developments regarding your travel instantly. 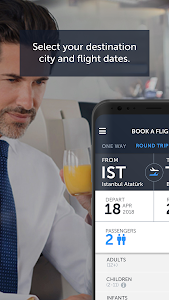 We are waiting for your opinions on our mobile app, and we will continue to develop Turkish Airlines online channels with you. 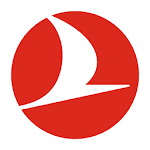 Similar to "Turkish Airlines – Flight ticket"